Cat Professional is dedicated to improving standards of cat care and in this capacity offers Specialist Services to veterinary professionals around the world. Dr Sarah Caney is one of only 13 recognised RCVS Specialists in Feline Medicine working in the UK. Sarah has experience in a range of fields and can offer support in a number of ways as outlined below. Find out more about Specialist Feline Clinics. Dr Sarah Caney offers bespoke in-clinic training for veterinary practices covering topics such as elderly cat preventive healthcare, blood pressure assessment, ‘cat friendly’ handling and more. 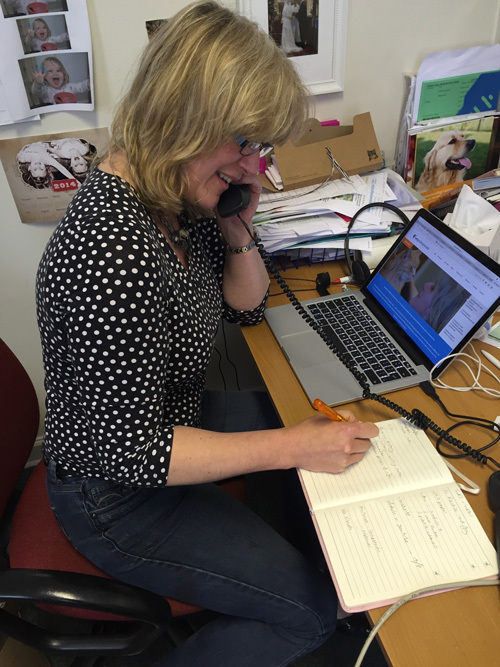 Sarah is happy to offer similar bespoke training options for company sales teams. Contact Sarah if you would like to find out more about in-clinic training opportunities. Dr Sarah Caney is a very popular speaker in the UK and overseas. Webinars given have often been ‘sold out’ with audiences approaching 1000 delegates. Sarah has particular interests in preventive healthcare and diseases affecting older cats, tips for being a ‘cat friendly’ clinician, feline lower urinary tract disease and endocrinology. Sarah has a passion for owner education and improving the standards of feline care in general. Sarah has written many articles for veterinary, nursing and cat owner publications in the UK and Internationally and is happy to be invited to write more of these. Click here to see a selection of Sarah’s recent publications. Contact Sarah if you would like to find out more about lecturing or writing opportunities. Dr Sarah Caney has worked closely with leading providers of cat products and foods by providing assistance with product literature, clinical study design and product design. Sarah has designed and conducted online owner surveys commissioned by companies interested in learning more about how their products are used and about owner experiences/preferences and opinions on health issues affecting their pets. Contact Sarah if you would like to find out more about consultancy opportunities. Thank you so much for your awesome article. It is fantastic and I am convinced the countries will love it! Again a big, big thank you for your great work and delivery on time. It is a great pleasure to run projects/activities with you and I am looking forward to our next ones. I cannot find words to express how pleasant an experience it has been to have you among us. Your experience and knowledge, and more over yourself, overpass any expectations we had. Spanish vets are as impressed as we with you. Sincerely thanks for your support. Thank you so much for your work in this. We’re delighted with the attendance and the quality of your presentations. I think the attendance of the 2nd webinar speak for themselves - fantastic numbers Sarah, you can certainly attract a crowd! 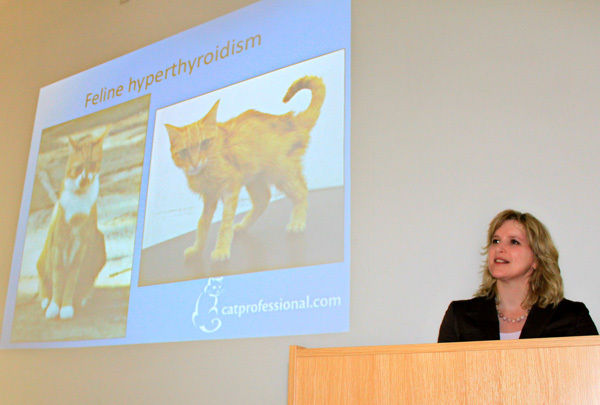 Contact Cat Professional if you wish to discuss specialist lectures or training on feline matters.